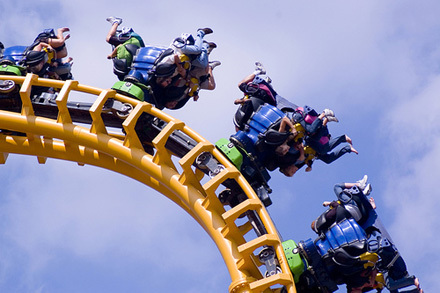 Psychologists Simon Rietveld and Ilja van Beest at the University of Amsterdam share the award for discovering that ashtma can be relieved by rollercoasters. Presented to psychologist Richard Stephens and others at Keele University for confirming that swearing relieves pain. For collecting and studying whale snot by attaching petri dishes to the underside of small, remote-controlled helicopters and hovering them overhead their blow-holes. Working with Japanese scientists, Mark Fricker and Dan Bebber at Oxford University used slime mould to model an effective railway network. Awarded to Manuel Barbeito at the Industrial Health and Safety Office in Maryland for showing that men with beards carry more bugs.